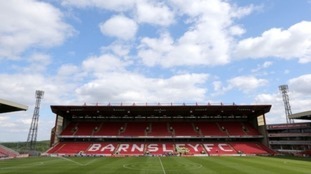 The incident is believed to have happened in the tunnel around 5pm, following the conclusion of Barnsley’s match against Fleetwood Town. Sheffield will remember the 96 fans who died in the Hillsborough disaster today, exactly thirty years after the disaster. Ninety-six Liverpool fans died in the crush at Hillsborough during an FA Cup semi-final between Liverpool and Nottingham Forest in 1989. The service will be held at the memorial outside the stadium. A moment of silence will be observed at 3.06pm, the moment the FA Cup semi-final was stopped. It has been decided that Jones' contract, which was due for review in the summer, will be terminated by mutual agreement with the club. Former Leeds United Chairman and Managing Director Bill Fotherby passes away aged 88. Jack Clarke was taken to hospital after he began to feel ill during the second half of the game with Middlesborough yesterday. The January transfer window has shut, with some deals going right to the wire and some not making it.